It is a crowded content space out there. Attention spans are limited. As you think about your content marketing strategy, you should perhaps consider podcasting as a medium to achieve your goals. Podcasting is the only form of content that can be consumed while an individual is doing other activities. Whether you are doing housework, driving or exercising, you can tune into your favorite podcasts. Written content, videos and images all have their place and should be strategically deployed, but they don’t afford this flexibility. Driving while reading a blog post or flicking through photo streams will never be a wise choice! Edison Research, which monitors podcast adoption, has found that 21% of Americans 12 and older have listened to a podcast in the last month. That’s a four-point jump from last year and is some of the largest growth for the medium that the authors of the study have observed in more than a decade of podcast research. With its increasing popularity, podcasting presents opportunities for universities, professional schools and individual academics. Here are a few ways to consider using them on your campus. Harvard Business School (HBS) recently unveiled a podcast series called Cold Call. The interview show highlights a case study written by a professor. The Cold Call name relates to the school’s MBA classroom experience in which students are asked on the spot to provide analysis of a case study. While the podcast has relevancy to anyone interested in management practice, the primary audience is for alumni, says HBS Chief Marketing and Communications Officer Brian Kenny. As is the case for any content initiative, it is key to have the distribution mechanisms in place to reach the targeted audience. Kenny notes that the school promotes the podcast through alumni social media channels and print ads in the alumni magazine. To generate broader brand awareness, podcast episodes are promoted through the school’s central social media channels, email marketing and the school’s website homepage. In addition, links to interviews are sent to 200 key journalists. When Chris Rose, Outreach Director at the University of Texas at Austin’s Center for Middle Eastern Studies, launched the 15 Minute History podcast in 2013, he had no idea that within eight months it would shoot to the number one ranked podcast on iTunesU. The original goal in setting up the podcast was to take the history department’s research and make it accessible to the public, something that they seem to be doing quite well as evidenced by the 3,000 – 4,000 downloads per episode. “I know episodes are assigned as listening in different two-year colleges and that high school AP classes are using the materials. It has definitely helped us from a name recognition point of view and given our programs exposure we never would have received otherwise,” Rose told me. Rose also noted that graduate student interviewees gain visibility and learn a valuable skill: translating academic work into language that resonates with public audiences. David Burkus, a professor at Oral Roberts University, and Karl Moore a professor at McGill University, are examples of two professors who have reaped such benefits. Burkus interviews management experts for his podcast: Radio Free Leader. He has written two books, consults regularly and has built a large audience through social media and his own email subscriber list. His podcast is a key component of his content output. “Many are in an academic model in which they are at graduate school and try really hard to present at conferences and publish in journals. Then they get into a program and try to get tenure, and then eventually they write the trade book. Well, for me, the podcast gave me the opportunity to publish the trade book right off the bat,” says Burkus. Moore is a great example of a professor using audio content for the benefit of the entire university. He conducts a CEO Interview Series in which he interviews a CEO or thought leader for CJAD Radio in Montreal and offers the segments as podcasts through the audio platform SoundCloud. The interviews are disseminated across various external communications channels. But more importantly, these interviews are leveraged across the institution, Moore says. The interviews support some of his research and the relationships with CEOs help the school from a recruiting perspective. He integrates the interviews into the classroom and alumni events. The above examples are just some of the reasons why individuals within higher education might want to consider leveraging podcasting. It is relatively inexpensive to create and disseminate podcasts, but still there is considerable time and effort that goes into the process. As is the case with any content initiative, you need to be very clear about your objectives, the targeted audiences and the desired outcomes. Once defined and content is created, measure in regular intervals. Listen to your audience, glean what type of content is resonating most effectively and best meeting your stated objectives and tweak accordingly. This article first appeared on Inside Higher Education’s Call to Action blog. 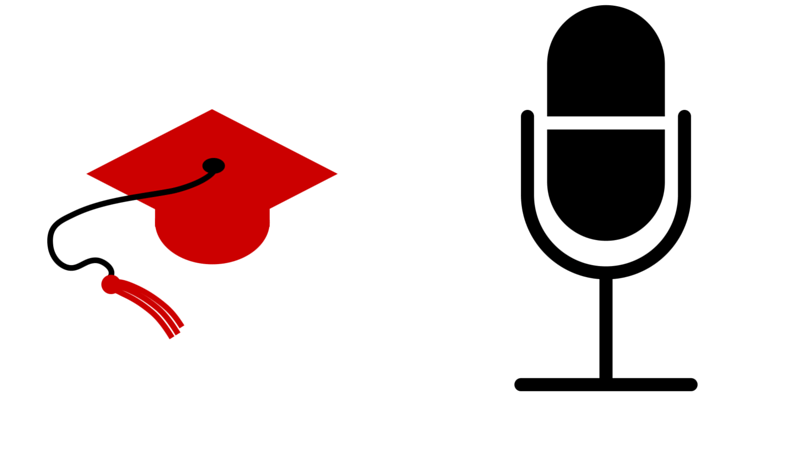 Have you benefitted from podcasting, either as an institution or individual academic? Have any questions about podcasting in the higher education space? Share in the comments section of the Inside Higher Education post. If you would like support or advice in launching a podcast or other content marketing initiative, I would be happy to arrange a time to speak with you. You can contact me on kevin@experientialcommunications.com.